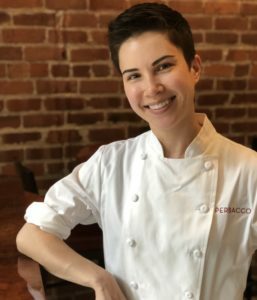 Perbacco Chef de Cuisine Kelsey Coulson will be leading a CUESA Market to Table cooking demo at the Ferry Building Farmers Market on Saturday, September 8th at 12pm. The demo is open to the public and is free. Make plans to join us to learn a seasonal recipe and ask Chef Kelsey your latest cooking questions.